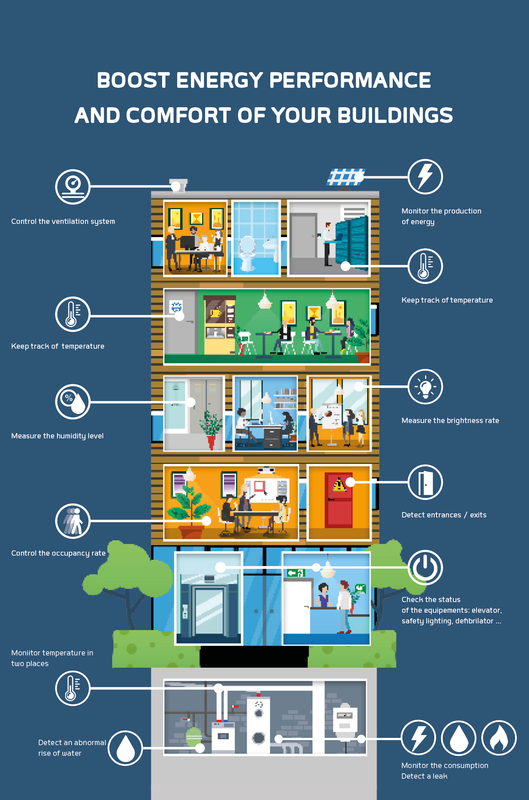 What if you made your building smarter? adeunis® offers personalized solutions in the Smart Building sector in terms of energy performance optimization and improvement of services to buildings and occupants. Whatever type of building you have to manage, tertiary, collective, industrial … adeunis® solutions are there to meet your needs. Whether you are an operator, maintenance professional, energy or facility management, our solutions are there to enable you to meet the needs and objectives set with your customers. Use the data collected: temperature, lighting, room occupancy … to improve the quality of life of the occupants.